Jane came to see us with loose front teeth and unsightly crowns. 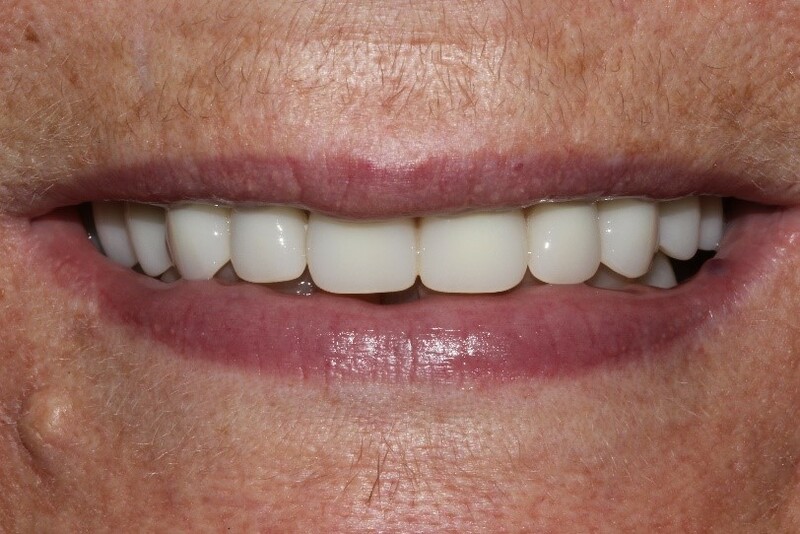 We placed an ‘All on Four’ implant-retained bridge on the upper arch which was carried out at the same time as the surgery so Jane had a new smile on the same day. 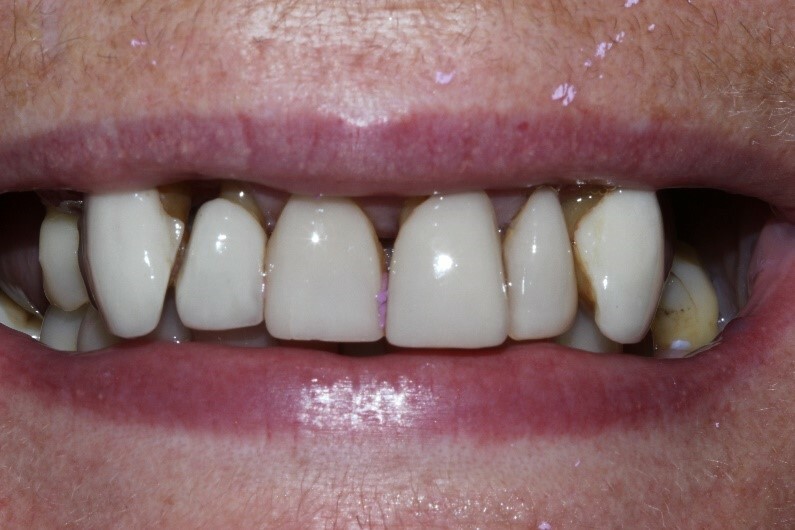 She was very happy with the transformation to her smile and how solid the bridge felt.